Selling residential properties is a specialty for many real estate agents. Make sure you use the right seller’s agent to sell you townhouse or condo in the Reno Nevada area. Being a seller’s agent doesn’t necessarily mean an agent is experienced and the best person to sell a townhouse or condo. These specific types of residential properties have unique considerations and targeted marketing. Here is how to sell a townhouse or condo in Reno Nevada. and What To Expect When Selling A Townhouse In Reno Nevada. Both townhomes and condos are popular purchases among first-time home buyers. But not every condo or townhouse is approved for an FHA loan. Speak with your homeowners’ association to determine if your property is already FHA approved. If it isn’t, take the steps necessary to get HOA approval and then work with the Federal Housing Administration to get it done. This approval makes it easier for first-time home buyers to qualify for a loan and has lower down payment requirements making it ideal for those just starting out with saving and asset building. The FHA loan maintains eligibility for credit scores as low as FICO 500 and down payments as low as 3.5%. This makes your property more attractive to those who might not otherwise meet loan requirements. Potential buyers will want to know what is allowed and what isn’t allowed when buying the condo or townhome. Having all documents and as many answers up front greatly help in marketing and selling the property. For example, if your association allows owners to have a barbeque on their patio, this is a benefit that not all condos have. There may also be requirements listed in the HOA bylaws stating how a property can be listed and marketed. Open houses may be limited to certain hours or days and could require having security measure in place. The last thing you need is your HOA to be an obstacle in selling the property so be sure to follow the rules. 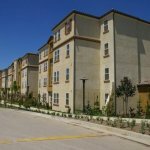 Buying a townhome or condo means you have certain things that are owned by the occupant and certain things owned by the association. You will want to comprise a list of all assets and upgrades that are owned maintained by you. This is a selling point to potential buyers who want to know there will be less work for them to do later because upgrades were recently done. Your townhouse and condo will sell fast using this method. For most condos or townhomes, everything from the “walls in” is the owner’s and everything outside the walls is the association’s property and responsibility. However, awnings, patios and other external features may not be the responsibility of the association. Buyers like extras, so the more assets you can list the more you make your property desirable compared to others in the marketplace. – maybe in the same complex. Potential buyers will ask what the HOA dues are and how often they have gone up. Have this information readily available along with all the extras that the association does for owners. This could include landscaping, pool or recreation center access, maintaining insurance or security. It is also good to point out associations that are strong in money management, maintaining ample reserves for potential repairs, regular maintenance and possible deductibles for loss. When a buyer knows the HOA has the money to replace the roof every 15 years, they are more confident in knowing their asset is protected by responsible upkeep.